Researchers have found new clues to how the “talking drums” of one Amazonian tribe convey their messages. Sarah Crespi talks with Online News Editor Catherine Matacic about the role of tone and rhythm in this form of communication. Getting poked with a needle will probably get you moving. Apparently, it also gets charges moving in certain semiconductive materials. Sarah interviews Marin Alexe of The University of Warwick in Coventry, U.K., about this newfound flexo-photovoltaic effect. Alexe’s ... See More group found that prodding or denting certain semiconductors with tiny needles causes them to suddenly produce current in response to light. 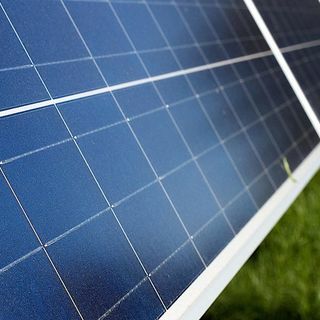 That discovery could enhance the efficiency of current of solar cell technologies. Finally, in our books segment, Jen Golbeck interviews Lucy Cooke about her new book The Truth About Animals: Stoned Sloths, Lovelorn Hippos, and Other Tales from the Wild Side of Wildlife.